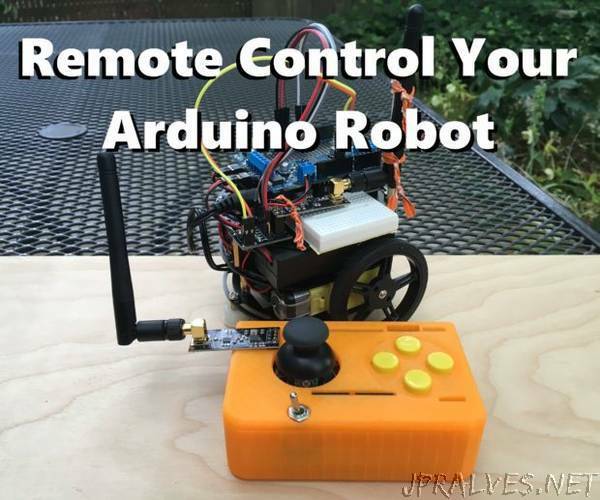 “In this Instructable I am going to cover to use an Adafruit Motor Shield for Arduino V2 along side an nRF24L01 Antenna to make a long range remote controlled robot. I am using an old Adafruit Arduino 101 CurrieBot with an Arduino Uno instead of the Arduino 101 that came with the robot. This tutorial however is applicable to any Arduino project running an Adafruit Motor Shield V2 that would like to use nRF24L01 or nRF24L01+ antennas to control their project.